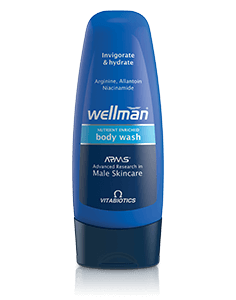 Maltodextrin, Bulking Agents: Microcrystalline Cellulose & Gum Acacia, Magnesium Oxide, Tablet Coating (Hydroxypropylmethylcellulose, Hydroxypropylcellulose, Capric Triglycerides, Propylene Glycol, Ethyl Cellulose, Natural Source Colours [Titanium Dioxide, Iron Oxides]), Vitamin C (Ascorbic Acid [Carrier: Hydroxypropylmethylcellulose]), Inositol, Soya Extract (from Soya), L-Carnitine Tartrate, Tomato Extract, Alpha Lipoic Acid, Zinc Sulphate, Polyvinylpolypyrrolidone, Crosslinked Cellulose Gum, Anti-Caking Agents: Stearic Acid & Magnesium Stearate, Niacin (Nicotinamide), Betasitosterol (Plant Sterols), Vitamin B12 (Cyanocobalamin [Carriers: Dicalcium Phosphate]), Pumpkin Seed Extract, Thiamin (Vitamin B1 as Mononitrate), L-Arginine, Betacarotene (Carriers: Starch, Water, Antioxidant: DL-Alpha Tocopherol), Silicon Dioxide, Saw Palmetto Extract (Silica, Maltodextrin, Calcium Silicate), Ferrous Fumarate, Vitamin E (D Alpha Tocopheryl Acid Succinate) (from Soya), Citrus Bioflavonoids, Pantothenic Acid (as Calcium Salt), Vitamin D3 (Cholecalciferol [Carriers: Maltodextrin, Medium Chain Triglycerides, Purified Talc, Butylated Hydroxyanisole, Ethyl Cellulose, Silicon Dioxide]), Vitamin B6 (Pyridoxine HCl), Vitamin A (Acetate [Carriers: Gum Acacia, Sucrose, Starch & Tricalcium Phosphate, Antioxidant: DL-Alpha Tocopherol]), Lutein & Zeaxanthin Esters (Carriers: Sugar, Gum Acacia, Cellulose, Hydroxypropylmethylcellulose, Antioxidants: Natural Vitamin E & Ascorbyl Palmitate), Manganese Sulphate, Riboflavin, Co-Enzyme Q10, Green Tea Extract, Copper Sulphate, Folic Acid (as Pteroylmonoglutamic Acid), Chromium Trichloride, Potassium Iodide, Sodium Selenate, Biotin.Allergy Advice: For allergens, see ingredients in bold. TWO TABLETS PER DAY WITH YOUR MAIN MEAL. Swallow with water or a cold drink. Not to be chewed. Do not exceed the recommended intake. To be taken on a full stomach. You should consult your doctor if you have any symptoms of urinary discomfort to confirm you have BPH or another prostate condition that may require immediate medical treatment. These include the need to urinate more frequently (especially at night), a feeling of not being able to empty the bladder completely and weak or interrupted urinary flow. 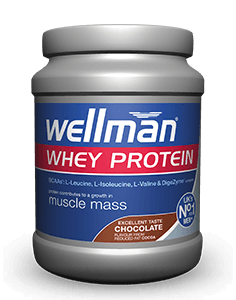 Why has Wellman Prostace been developed? 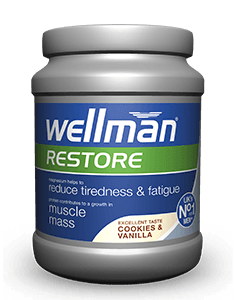 When is Wellman Prostace recommended? What do I need to know before starting to use Wellman Prostace? 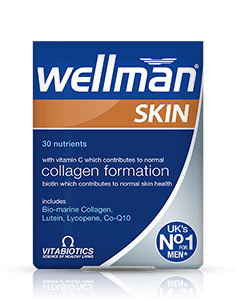 Can Wellman Prostace be used with medicines simultaneously? 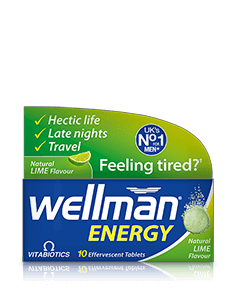 How many tablets does one pack of Wellman Prostace contain? 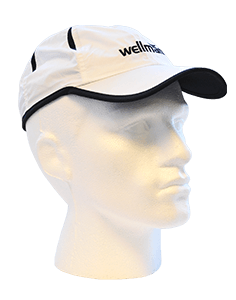 How and when should Wellman Prostace be used? 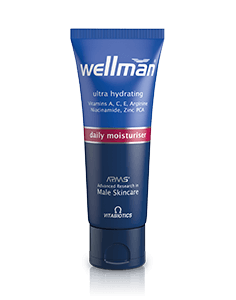 Are there any undesired effects whilst taking Wellman Prostace? 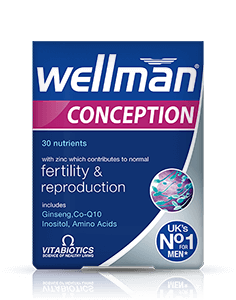 Wellman Prostace provides an advanced, comprehensive combination of bio-active nutrients, formulated to help support all round male health and vitality, with specific nutrients including zinc, which contributes to normal reproductive health. The multi-nutrient formula contains Prostene™, a proprietary complex of Betasitosterol, Pumpkin Seed Extract, Soya Extract, Alpha Lipoic Acid and Lycopene. 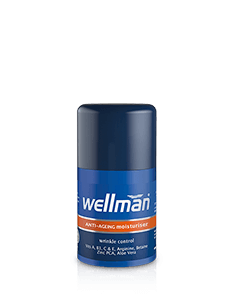 Wellman Prostace should be used if you are specifically looking to help maintain all round male reproductive health. 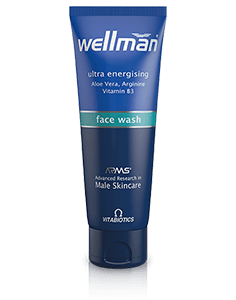 Typically this may be relevant for men aged 40 onwards; however Wellman Prostace can be used by any man over 18 years old. 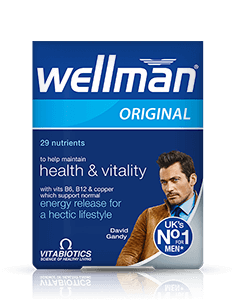 Wellman Prostace is a food supplement. 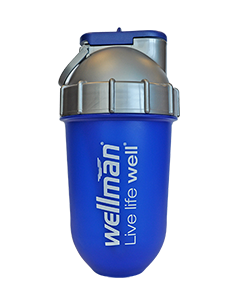 It has been carefully developed by a team of experts including highly qualified pharmacists and nutritional consultants, and is based upon scientific research evidence, as a nutritional safeguard for all round male health. 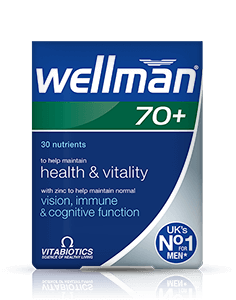 Wellman Prostace replaces your usual daily multivitamin. 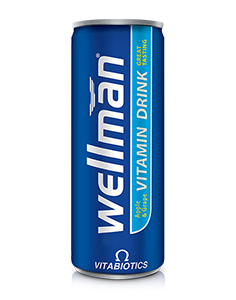 As a general rule, Wellman Prostace can be taken alongside medications because it contains only moderate levels of vitamins and minerals. However, if you are under medical supervision, already taking prescribed supplements or medications or have an underlying condition, please seek advice from your doctor or health professional first. 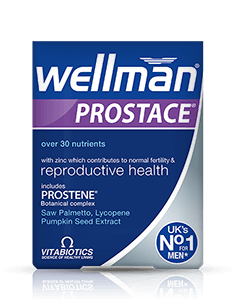 Wellman Prostace contains 60 tablets per pack and it is recommended to take two per day. Two tablets per day are recommended with, or immediately, after your main meal, with water or a cold drink. 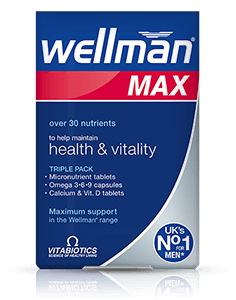 Taking the tablet with a large meal maximises the absorption of the nutrients, and can reduce any nausea which maybe experienced if multivitamins are taken on an empty stomach, or a light meal like breakfast. Wellman Prostace should only be taken on a full stomach. 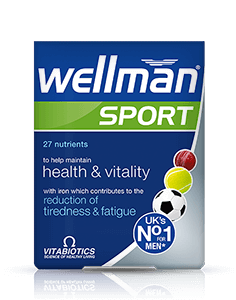 Always ensure that Wellman Prostace is taken with plenty of liquid to wash down the tablets. We do not recommend chewing the tablets because they have not been formulated as a chewable preparation. Wellman Prostace tablets are suitable for vegetarians. 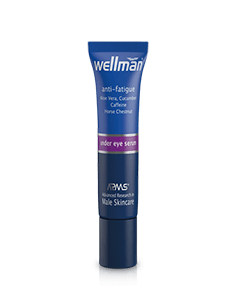 Wellman Prostace has no known side-effects when taken as directed. Do not exceed the recommended tablet intake. In case of overdose, seek medical advice immediately.